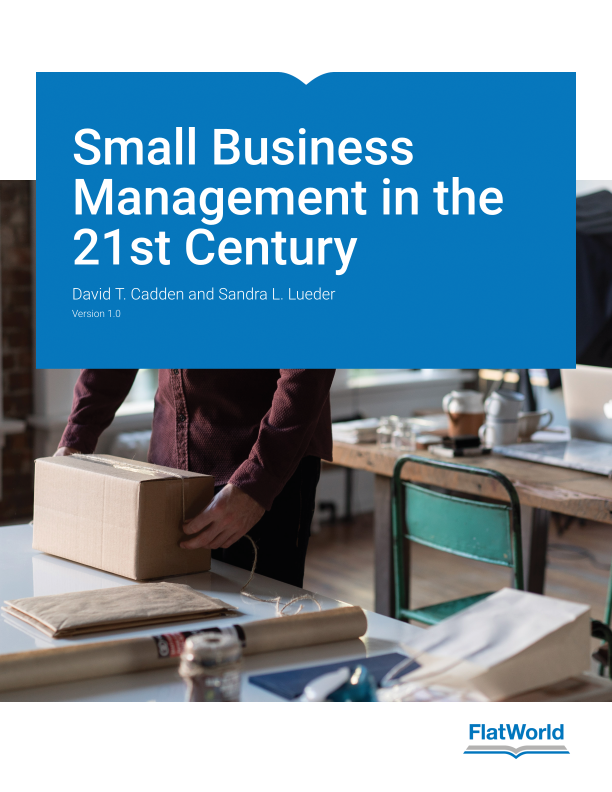 Small Business Management in the 21st Century offers a streamlined approach and a unique perspective as it treats small business management as a practical human activity, rather than as an abstract theoretical concept. The authors incorporate the use of technology and e-business as a way to gain competitive advantage over larger rivals. The text also acknowledges the constant need to examine how decisions affect cash flow and the value of each customer. Unique perspective and streamlined approach. “Disaster Watch” scenarios included in each chapter that detail some of the major hazards small business managers face. Chapter 15: Going Global: Yes or No? Dr. David Cadden was born in New York and received his undergraduate degree in engineering from the Brooklyn Polytechnic Institute. He received an M.S. in Management from the same institution. He attended Baruch College, which is part of the City University of New York, where he received his MBA and earned his Ph.D. in Management Planning Systems. Dr. Cadden is the author of many journal articles, book chapters, and proceedings’ publications. For several years he ran a program at Quinnipiac University where students traveled to Nicaragua to assist local small businesses improve their operations. He teaches in the areas of operations and strategy and places special emphasis in these courses on the unique demands of small businesses. Cadden has consulted with several firms including McDonald-Douglas Aircraft and Blue Cross/Blue Shield. Prior to coming to Quinnipiac, Dr. Cadden worked for Hazeltine Corporation, Baruch College, and Fairfield University. Dr. Sandra L. Lueder is an Associate Professor Emeritus, Southern CT State University. She has a Ph.D. in Marketing from the City University of New York (Baruch College), an MBA in Management and Marketing from the University of Connecticut, and a BA from the University of Wisconsin in Madison. She has also taught at Sacred Heart University in Fairfield, CT. Her non-education employment includes working in government, small business, and United Engineers and Constructors, a large corporation that is a division of Raytheon. Dr. Lueder has been passionate about small business for more than 25 years. As the proud daughter of a twice-entrepreneur, she has lived the life and has seen the ups and downs of small business ownership. She has taught small business management courses and has integrated the small business perspective into most of the marketing and leadership courses that she teaches. Dr. Lueder has published in the New England Journal of Entrepreneurship and The E-Business Review. She has also made many presentations at academic conferences.